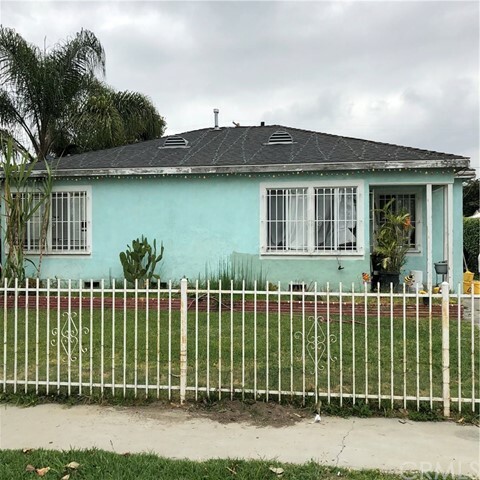 All Compton homes currently listed for sale in Compton as of 04/21/2019 are shown below. You can change the search criteria at any time by pressing the 'Change Search' button below. 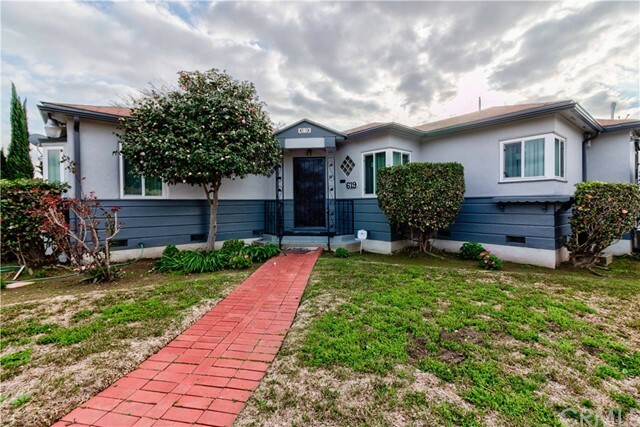 If you have any questions or you would like more information about any Compton homes for sale or other Compton real estate, please contact us and one of our knowledgeable Compton REALTORS® would be pleased to assist you. "Perfect home for an investor. This home features 5 bedrooms, approx. 2203 sq. ft, 2 bathrooms, ceiling fans throughout, spacious kitchen & dining, tile floors. Property to be sold As is." 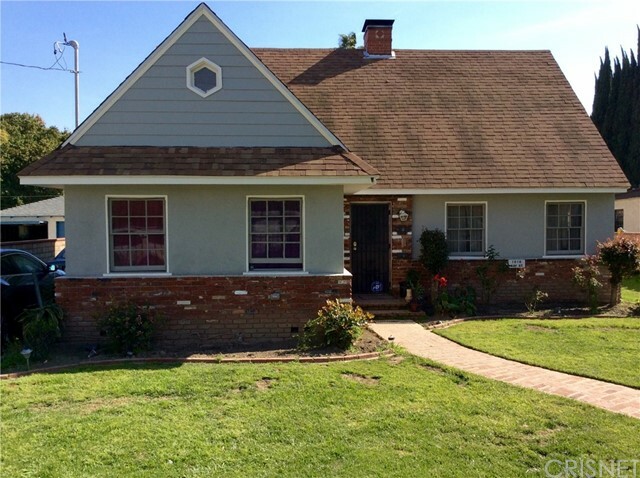 "Beautiful fully remodeled house in quiet area in Compton!!! New roof, new electric, new plumbing, new floor, new window, new central A/C and heater system, new bathroom, new garage, new laundry area and etc. Ask for anything, it's all new." 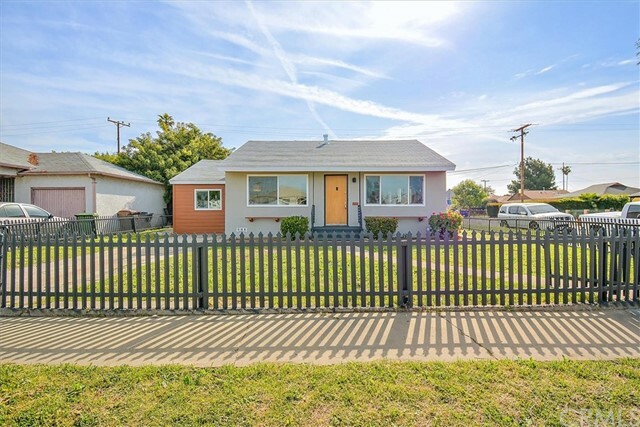 "Beautiful Fully Remodeled Property in Compton! 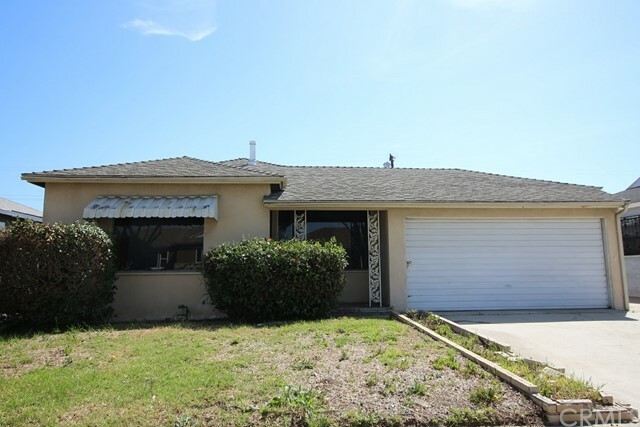 Features: 3 Bedrooms and 2 bath in the front house with 1,200 sq. ft, with laundry room. Everything in the interior is new. Open floor plan for family gatherings. Property also has a single back unit with everything new! Has a kitchen and bathroom about 400 sq. ft. total. Separate gas and electric meters. Huge Lot, all centered and parking space for like 10 cars. Alley Access! All buyers to come an fall in love with this property at first sight. Turnkey! Turnkey! Turnkey!" "Beautiful single family home features 3 bedrooms and 2 bathrooms with almost 1,700 square feet living space. Features original hardwood floors, fireplace, Paid off Solar system, Exterior text-coat paint, Central Heating system, Roof was replaced 2009, quarter of an acre lot size, block wall and wrought iron fence with gate, long drive way that can fit 4 cars or possible RV access and 2 car detached garage. Within walking distance from the Compton Unified School District, including Mayo Elementary School, Compton Unified Regional Occupational Program School and Our Lady of Victory Elementary School. Easy access to freeways." "This craftsman style home is nestled in private gated Community. You are greeted with an inviting front porch that leads to a great room perfect for family entertainment. The kitchen offers beautiful finishes and energy efficient appliances. Moving upstairs are the bedrooms and a private balcony off of the master bedroom. You ll also discover energy efficient features throughout, including a tankless water heater, programmable thermostat, Traverse LED lighting and Whirlpool ENERGY STAR certified appliances. 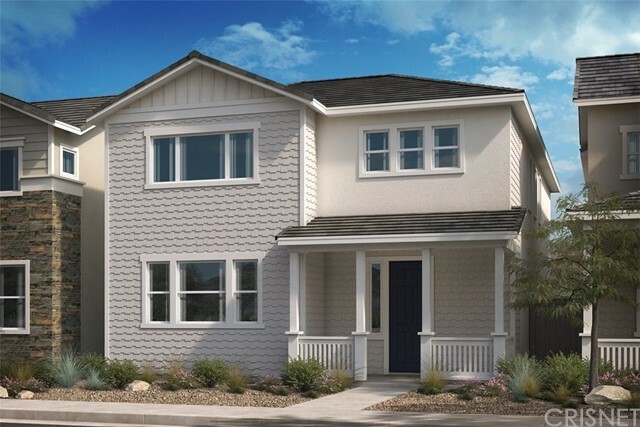 This ENERGY STAR certified home is conveniently located with easy access to schools, shopping and freeways and comes with the KB Home 10-Year Limited Warranty." "PRICE REDUCED!!!!! 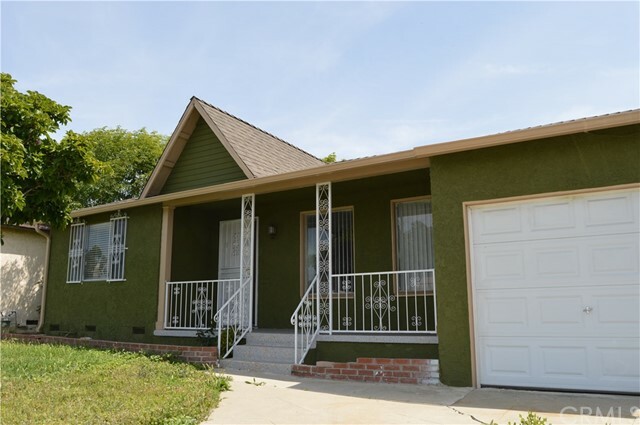 !This wonderful home is in a very desirable neighborhood in City of Compton. 4 bedrooms, 2 bedrooms with a detach garage, driveway to fit several cars. Living room has plenty of natural lighting. Nice size kitchen with new stainless steel appliances. Master bedroom has French style doors leading to backyard. Private enclosed backyard with mature fruit trees, great space for entertainment"
"This Craftsman-style home is nestled in private gated Community. You are greeted with an inviting front porch that leads to a great room perfect for family entertainment. The kitchen offers beautiful finishes and energy efficient appliances. Moving upstairs are 3 spacious bedrooms and 2 full bathrooms. You ll also discover energy efficient features throughout, including a tankless water heater, programmable thermostat, Traverse LED lighting and Whirlpool ENERGY STAR certified appliances. 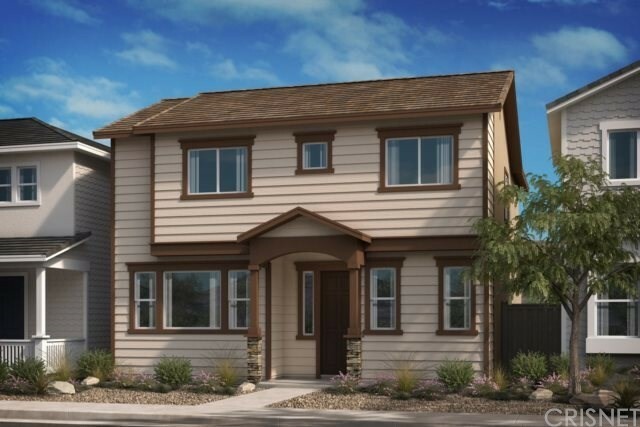 This ENERGY STAR certified home is conveniently located with easy access to schools, shopping and freeways and comes with the KB Home 10-Year Limited Warranty"
"Beautiful 5 bedroom 3 bath home with an additional 6th bedroom bonus room with a built-in closet in a desirable area. This home features a brick porch that leads into a very spacious living room. The kitchen was remodeled back in 2009 with custom cabinets, lighting, granite counters, and tile floors. There is a separate breakfast nook just outside of the kitchen. There are 2 master bedrooms. The 1st master bedroom is spacious with a large bathroom, tile floors and a whirlpool tub. The 2nd master bedroom has a nice size bathroom and a full walk-in closet. Large linen closet in the hallway, newer dual pane windows and central heating. Very large backyard and a deep 2 car garage. The whole house is hardwired with surveillance cameras." "This Spanish-style home is nestled in private gated Community. You are greeted with an inviting front porch that leads to a great room perfect for family entertainment. The kitchen offers beautiful finishes and energy efficient appliances. Moving upstairs are the bedrooms and a private balcony off of the master bedroom. You ll also discover energy efficient features throughout, including a tankless water heater, programmable thermostat, Traverse LED lighting and Whirlpool ENERGY STAR certified appliances. 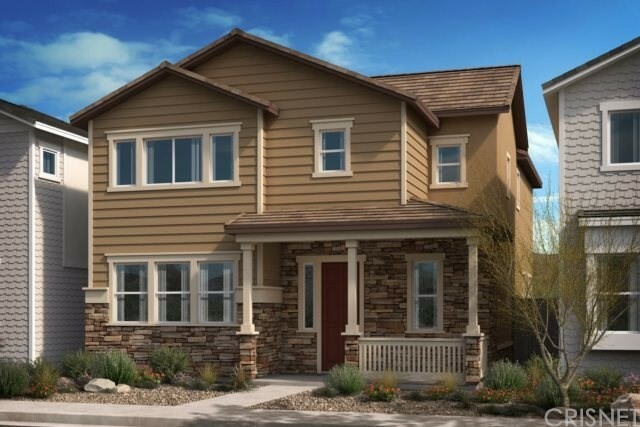 This ENERGY STAR certified home is conveniently located with easy access to schools, shopping and freeways and comes with the KB Home 10-Year Limited Warranty." 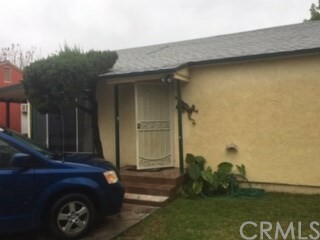 "Great spacious home in a great quiet neighborhood in the City of Compton. Ideal for a big family. Home has 21 fruit trees for those who love to grow organic. Owner occupied well cared home. High school being renovated and will become most modern in Southern California." 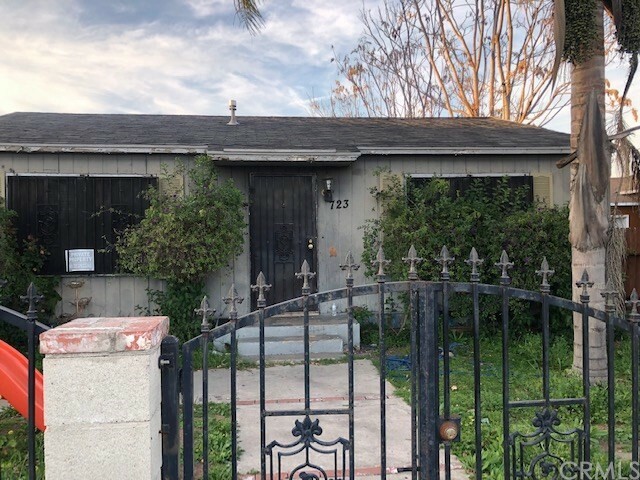 "Horse property with remodeled stables and a Mobil Home on the back yard, perfect to get extra income, the house needs minor repairs that seller is willing to do with the right offer, laminated floor, new paint, is well maintained by tenant." "3 Bedrooms 1-Bethroom house. Remodeled. Big front and back yard." 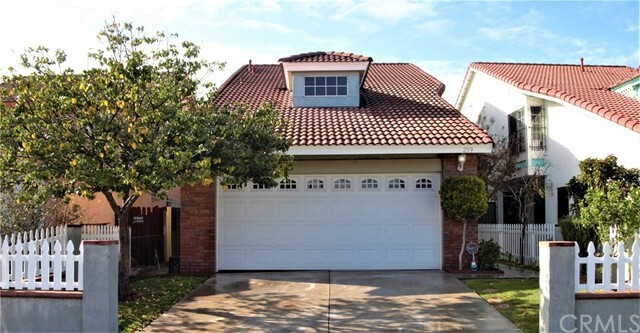 "Very well taken care of home in the highly sought after neighborhood of West Rancho Dominguez! This home features 3 bedrooms 2 full baths with an option for a fourth bedroom as you will see when you view this home. This big home (2,132 sq ft) has so much to offer. As approach the home you will notice the peaceful neighborhood and the great curb appeal this home has as well as the new roof. Inside the home features newly remodeled huge kitchen with new cabinets and granite counters. Spacious bedrooms and newly carpeted living room. The master suite is HUGE with walk in closet and big master bathroom with jetted bathtub. Big private backyard and close to schools, shopping, restaurants, entertainment and all that LA county has to offer. This home will make someone very happy and is a must see so don't miss your opportunity and call to schedule a showing before its too late!" "Just listed for Sale! 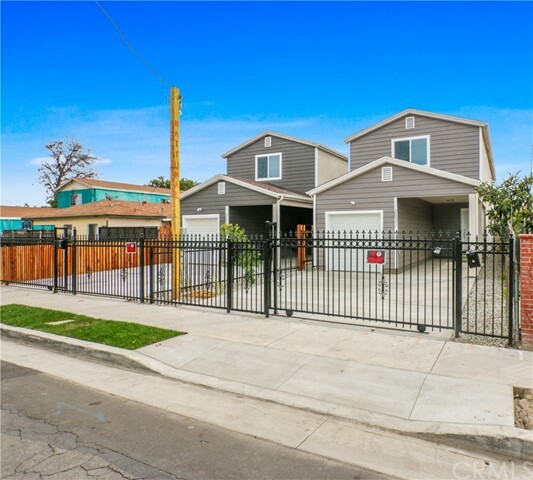 Best priced property in all the city of Compton for NEW CONSTRUCTION! freshly built in 2019! Bargain hunters get more for your money here. Compare and save big $$$$. Enjoy this ample 1,750 Sq.Ft of living space consisting of (4) Bedrooms (3) Bathrooms with 1 bedroom located downstairs, >> everything NEW from vinyl windows to granite countertops to electrical service meter. Exterior highlights include new fencing, low maintenance yard, 1 car garage + carport, new concrete drive way, lighting, plumbing the list is extensive, if shows available it's available!" "Just listed for Sale! Fantastic opportunity for the savvy buyer. 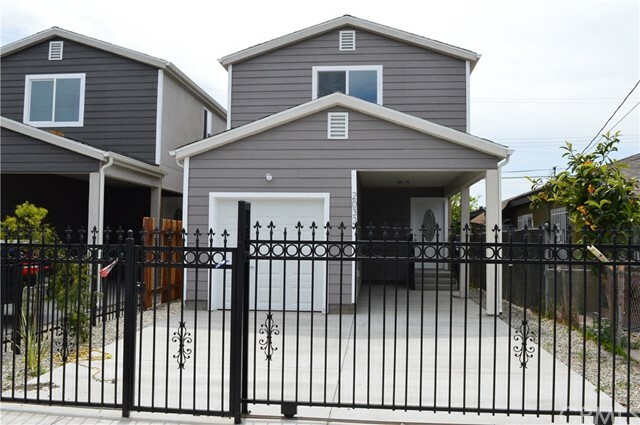 Best priced property in all the city of Compton for NEW CONSTRUCTION!! Freshly built in 2019! Get more for your money here. Compare and save big $$$$. Enjoy this ample 1,750 Sq.Ft of living space consisting of (4) Bedrooms (3) Bathrooms with 1 bedroom located downstairs, >> everything NEW from vinyl windows to granite countertops to electrical service meter. Exterior highlights include new fencing, low maintenance yard, 1 car garage + carport, new concrete drive way, lighting, plumbing the list is extensive, if shows available it's available!" "Beautiful well maintained 2 bedroom 1 bathroom home with mother in law quarters located on a large desirable corner lot. As you walk through the gates you will notice the new exterior paint, newly painted wood panels & trim with newer double pane energy efficient windows. Upon entering this home you are greeted by an inviting floor plan with a formal living room, newer carpet, mini splits HVAC system and fireplace. Once in the chefs kitchen you can not help but fall in love with the elegant wood cabinets, stainless still appliances, granite counter tops and upgraded flooring which opens up to a warm relaxing family room. Both bedrooms are spacious with nice size closets, newer carpet and newer mini split HVAC system. The bathroom has been remodeled with newer paint and upgraded tile throughout. When exiting the rear door it leads you to a large serene enclosed back backyard. This is perfect for entertaining family and friends. The two car garage has direct access into the yard which makes you feel a sense of security. As for the mother in law quarters, it has electrical and plumbing which can be used as a rumpus room or rental income. Buyer To Satisfy Themselves As it Relates to Permits. Hurry This Property Will Not Last!!!" 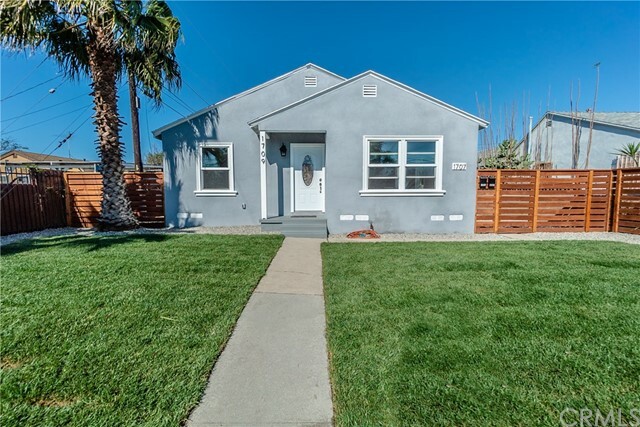 "Great home featuring Cooper plumbing, upgraded electrical system, Home was remodeled a few years ago with Kitchen Cabinets counter tops, flooring. Baths were also upgraded." "Calling ALL INVESTORS and First time home buyers. A spacious two bedroom, 1 full bathroom in the front, with an additional one bedroom one bathroom guest house. Perfect for larger families, as well as investors. Huge 7000 sqft lot. Great to renovate and add a pool in the back, or tear down and add two large homes for a multi-unit property. This will not last. Family neighborhood, with lots of character and charm. Awesome neighbors who are all long term owners." 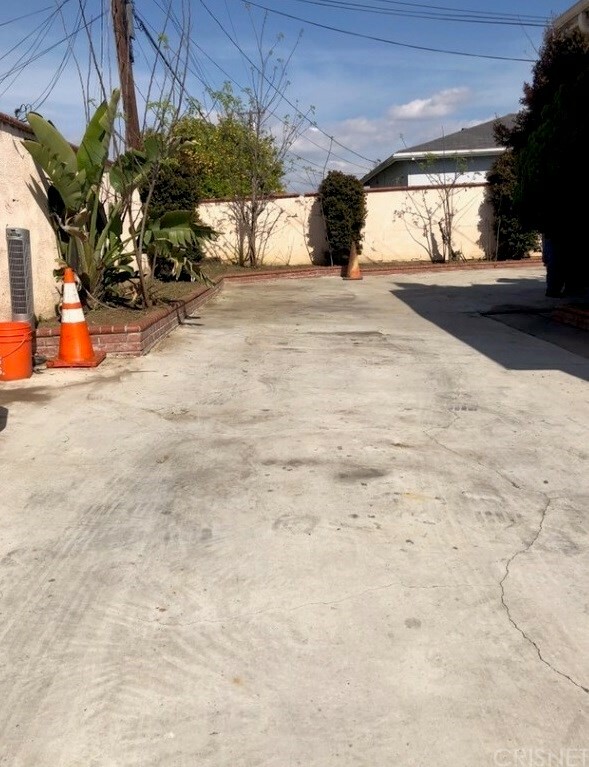 "** GREAT PROPERTY IN THE CITY OF COMPTON ** 3 BEDROOMS ** 2 BATHROOMS ** 2 CAR GARAGE ** TILE FLOORS ** CARPET IN BEDROOMS ** TRAGNIEW PARK ACROSS THE STREET ** SCHOOLS , STORES , AND MUCH MUCH MORE..."
"BRAND NEW CONSTRUCTION SFR !!! !, finished and ready , it comes with Central Air and Heat, laminated wood floors on bedrooms halls and stairways , porcelain tile on the rest of the houses, granite counter tops in Kitchen, recessed LED lights, cable and internet ready. Laundry rook in second floor, ample two car garage with remote control. Completely fenced on sides with block, wood material and gated on the front with wrought iron fence. 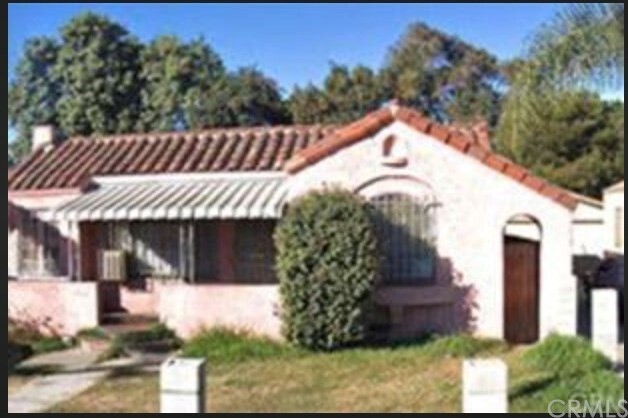 Very convenient to government services, schools, shops,public transportation as well as 105, 91,710 and 110 Freeways. THE SUBJECT PROPERTY IS IN UNINCORPORATED AREA OF COUNTY OF LOS ANGELES (THIS IS NOT COMPTON)." "Stunning, modern details throughout this spacious home comfortably nestled on a large corner lot. Large wrap around yard with a detached garage in the back yard. The wood details throughout make this home charming but the brand new windows, doors, flooring, recessed lighting, and open floor plan will make anyone fall in love. The details don't stop there - brand new quarts counter tops, all new kitchen cabinets, new kitchen fixtures, and a cozy breakfast nook open to the dining and living area make this a sleek yet practical family home. Both bathrooms are fully remodeled with all new fixtures, flooring, and tile details in the tub area. There is a roomy indoor laundry room with new flooring and paint and all the bedrooms have beautiful flooring, fresh paint, and recessed lighting ideal for a smooth move-in. 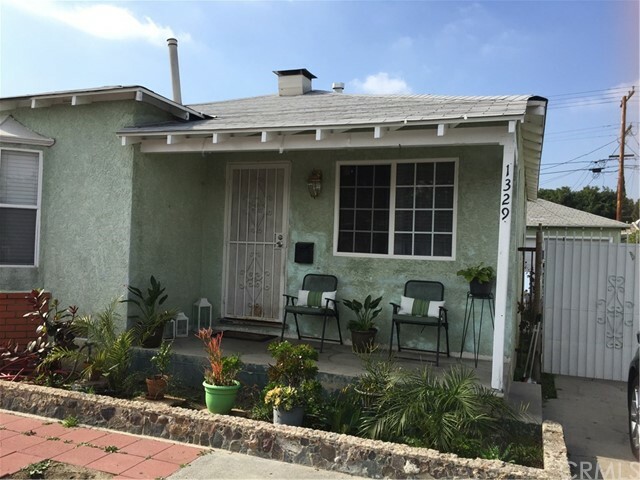 Close to Cal State Domniguez Hills, El Camino College, UCLA Medical Center as well as the 91, 110, and 710 freeways!" 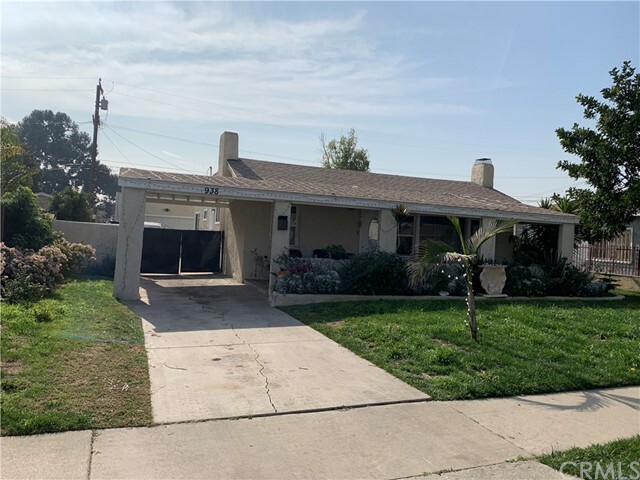 "***HUD Home in the RN area of Compton*** This spacious 3 bedroom/2 bath 1953 Contemporary style home is located in the Rosewood unincorporated area of Compton which means no city inspection and no 9A report! This special home features stucco exterior with concrete driveway to the 2-car attached garage. The covered front porch opens to a carpeted living room & adjacent dining area leading into kitchen with granite-like counter tops, tile floors, double stainless steel sink, garbage disposal, dishwasher, gas range & oven with vent hood & an open BAR that serves the adjacent FAMILY ROOM featuring double doors to the backyard & CLOSET easy to use as 4th BEDROOM! Off the family room is a cabinet-lined hallway/INSIDE LAUNDRY AREA leading into the MASTER BEDROOM with SEPARATE SIDE DOOR to the backyard, WALK-IN CLOSET & PRIVATE TILED FULL BATH! Off the living room is a hallway leading to bedrooms 1 & 2, and another FULL HALL BATH! This home features forced air heating system, composition shingle roofing & cinder-block fencing. Location is in close proximity of transportation, shopping, dining & entertainment & is within walking distance of all schools elementary thru high school. Available FHA203(k) financing allows you to add the cost of renovation/additions into your loan & work is completed after close of escrow! EXCLUSIVE Listing Period this property is available to OWNER-OCCUPANTS ONLY with no competition from investors! HURRY THIS WILL NOT LAST LONG!"